I was in the middle of putting together our ultimate Galaxy Note 9 pre-order guide when I came across the section for the T-Mobile’s version and poked around their news site for pricing. The minute I found it, my jaw dropped. T-Mobile, because they do this weird pricing deal where they can only finance so much of a phone to customers, have added on a down payment to their Note 9 payment plan. For the 128GB model, the down payment is $279.99 before you ever get to the $30/mo payments. That’s a big number, no doubt, but the down payment for the 512GB model is…wait for it…$529.99. You have to give T-Mobile $530 before you ever pay one of the 24 $30/mo payments. You know what else costs $530? The OnePlus 6! The base model OnePlus 6 that comes with 6GB RAM and 64GB storage is $529.00. Now, I know that the Galaxy Note 9 features just about every popular specification you could imagine. It has what is more than likely the best display on the planet, dual cameras with OIS and a variable aperture, 4000mAh battery, IP68 water and dust resistance, headphone jack, Snapdragon 845, an S Pen, and up to 512GB of storage, as well as up to 8GB RAM, but holy sh*t. $530! Down payment! I don’t know that my wallet is built for this. 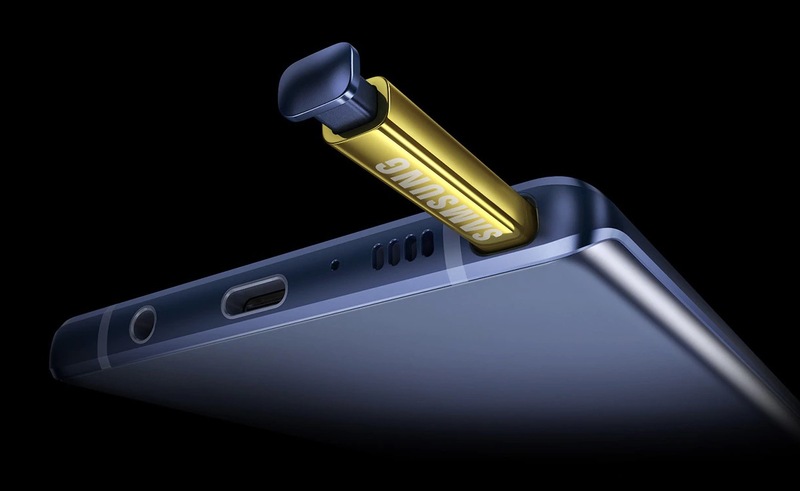 Thursday Poll: Are You Buying a Galaxy Note 9?